26 days until my record release! It’s been a busy weekend for an LKB in the North Country (Pierceton, Warsaw, Winona Lake). 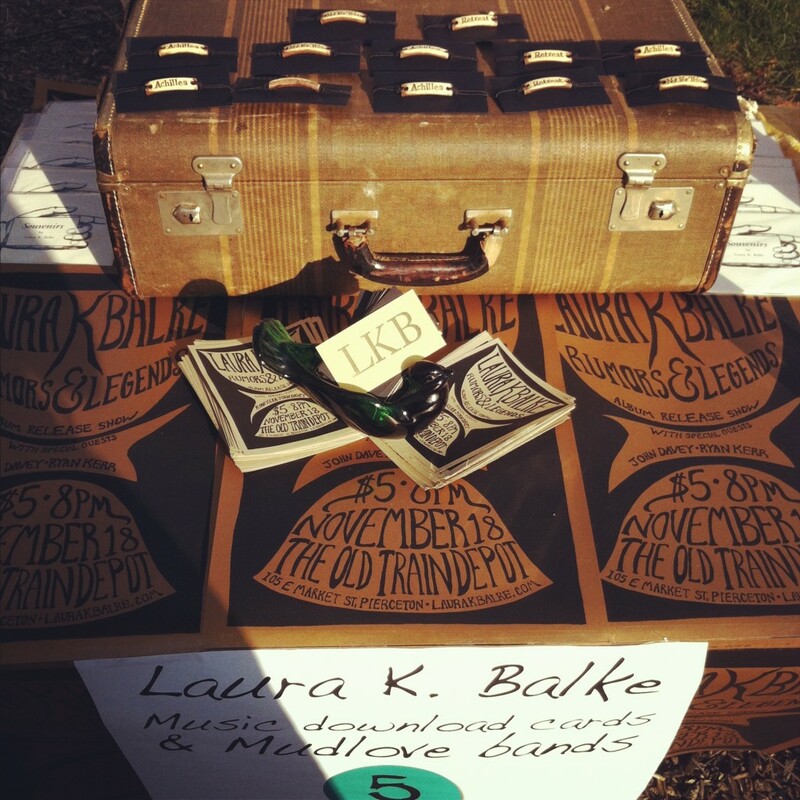 Yesterday was Mudlove’s Block of Love party and I played some music for all of the beautiful patrons throughout the day. The weather was gorgeous and I made new friends, was delighted by old friends, and consumed much coffee and cookies. 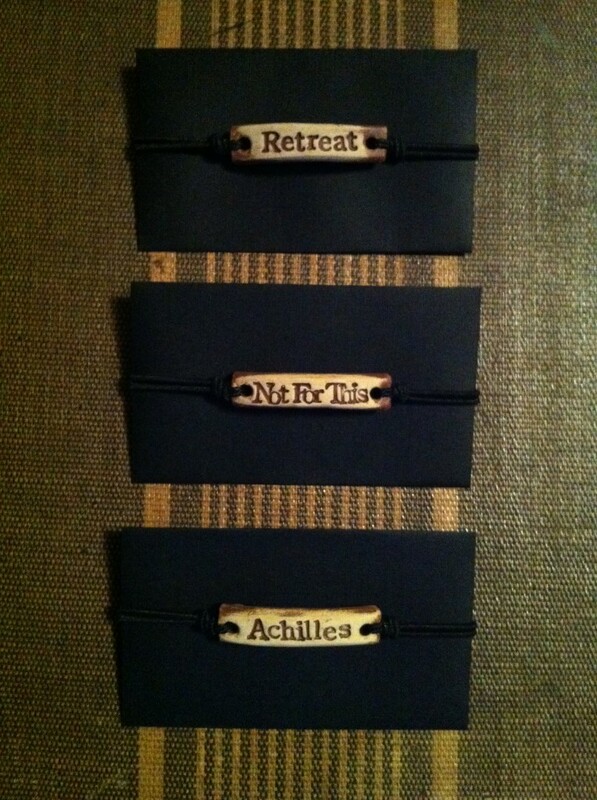 While we’re talking Mudlove, I would like to introduce to you a new addition to my merch table: custom-made Mudlove bands that feature three of my song titles- Achilles, Not For This and Retreat. I’m selling them for $5 each and they include a download card with those three songs which will be on the new record, all wrapped up in a cute little envelope. As if that wasn’t awesome enough, these custom bands will also get you in to either of my album release shows (Pierceton or Indianapolis) for FREE! They’re like wearable presale tickets! 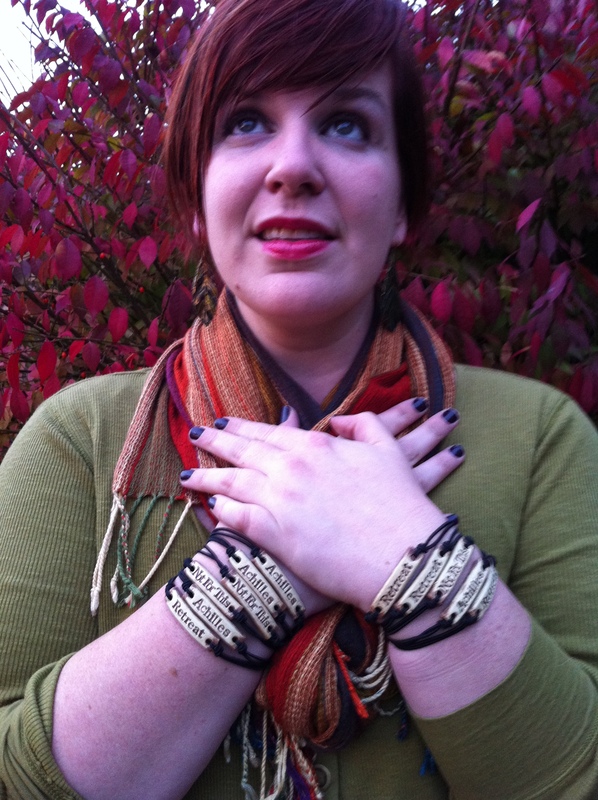 The bands are available for sale from me personally and at the Mudlove Pottery studio. 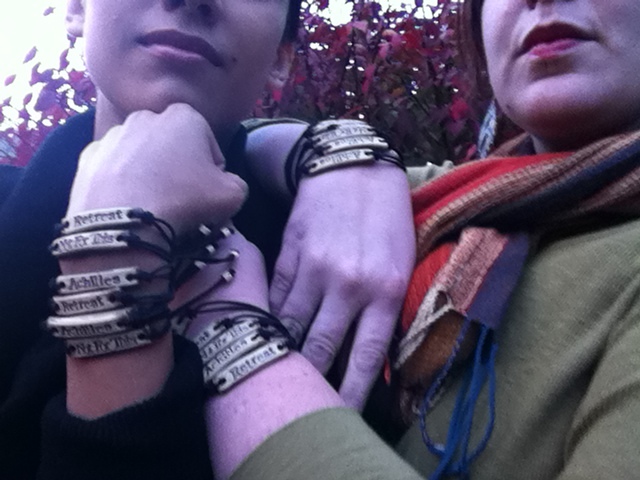 This afternoon my dear friend Mallery and I piled on the goods and modeled the world’s first wearable ceramic pre-sale ticket. See how much fun you’ll be having if you buy one?